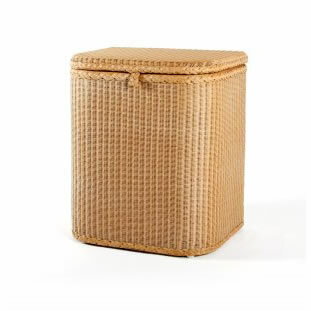 The Lusty Lloyd Loom Model 1056L is a larger linen basket, designed to meet the demands of a hectic family life. The Model 1056L is lined with a removable, washable cotton liner, which allows aeration and protects from dust. Designed by Jim Lusty circa 1930.